We examine security protocols for the Grid Security Infrastructure (GSI) version 2 and identify a weakness of poor scalability as a result of GSI’s authentication framework requiring heavy interactions between a user-side client machine and resource suppliers. We improve the GSI architecture and protocols by proposing an alternative authentication framework for GSI, which uses dynamic public/private key pairs to avoid frequent communications to a significant extent. 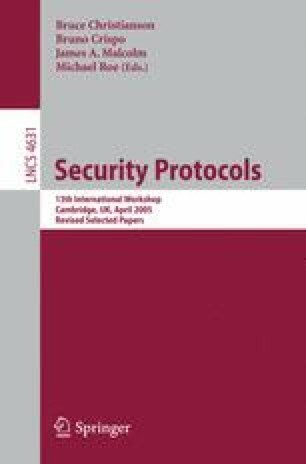 The improvement to the GSI security protocols is enabled by a novel application of an emerging cryptographic technique from bilinear pairings.